What Do You Do for People? For Media? Below is an excerpt from a long-ago issue of Paul Hartunian’s Million Dollar Publicity Strategies ezine. What do I possibly care about her world? What do I really care about? What’s the *only* thing I care about? If you said the only thing I care about is what she can do for me, you are right on target. So many people approach the media people the same way. They actually think reporters, editors, talk show hosts, etc. really care about their book, their product, their service or their whatever. They don’t care. Nobody cares. The only thing people care about is what you can do for them. The only thing media people care about is what you can do for them, what information you have for them, how you can make them look good to their audiences. That’s the way it should be. When you give the media people what they want, they’ll give you what you want. They’ll give you space in their newspapers and magazines, time on their radio and TV shows. They’ll plug your products or services for you and they’ll do a darn good job of it. If this interior decorator had sent out a press release offering to tell reporters the best way to pick a qualified designer or how not to get scammed by furniture salesmen posing a designers, she would have been a media hit. Instead, she welcomed people to her world. Look over your publicity and marketing material. Do they talk about why you are so wonderful? Or do you talk about what you can do for reporters or your customers? Paul Hartunian is called the King of Tough Love Publicity. The only thing people care about is what you can do for them. The same is true for media. 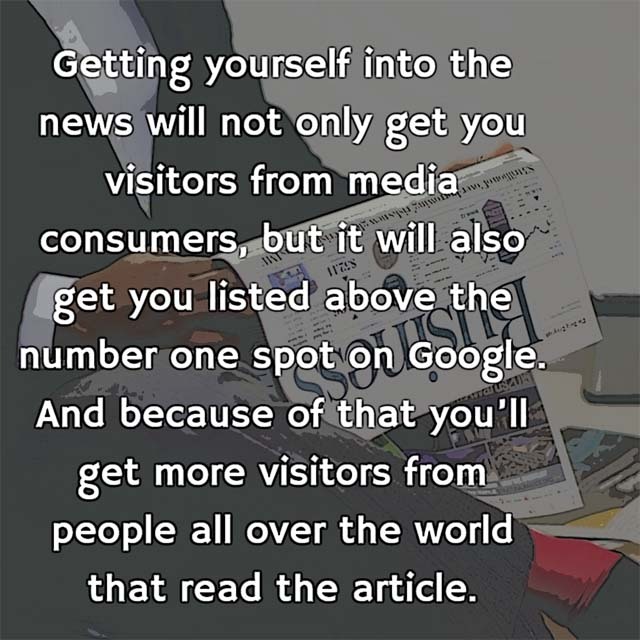 The following is excerpted from How To Steal To The Top Of Google: Use the News by Danny Wall on SEO Chat. It describes how to write and send a news release that gets attention. Holy Crap! Did you See The Mistake Miguel Cabrera Made At Bat? You then talk about the error, that was made, say what the correction is, and give a link to a page on your website that talks about common batting errors and how to fix them, and gives contact information for reaching you by voice. Then you had better answer the phone, and if you miss the call you had better call back promptly. Let me reiterate what I just said. The phone number you give goes to you. Not your secretary. Not your marketing VP. You. That press release gets sent out to every single sports reporter in the country (or at least to those that you know about), by fax (not email, not B.S. internet media press release, by fax) well before the game is over. You just became a sports reporter’s best friend. You’ll probably get written about by a very significant percentage of the sports writers. But you may find yourself getting called for interviews by both TV and radio personalities. You see, the technique I just mentioned allows you to solve a reporter’s problem. How to find news that is actually news. Any idiot can report the scores and the newspapers know that. But the reporters that pick up your story will be heroes to the newspapers because it’ll be something interesting. It’ll be about something that happened to a celebrity and explains how to fix it. All it takes is imagination and the willingness to keep your eyes open and exploit current events to your favor. Did you just hear about some bad business decision by some major celebrity? That’s good news if you do almost anything related to the financial sector. Is the price of gas going up? That’s good news if you do almost anything that helps to extend a car’s fuel economy. But you have to be willing to be bold, to use your imagination. Notice that the headline above may actually offend some people. Believe it or not, that’s a good thing. Now, you don’t want to go out of your way to be offensive, but at the same time, some people are always offended by anything that is bold and out of the ordinary. If you want your company, your website, to be picked up by the news you have to stand out. You have to be bold. You have to be willing to stand out from the crowd. Some people are going to be offended by that. on getting to the top of Google, go to SEOChat.com. If you want your story to be picked up by the news you have to stand out. You have to be bold. Well, there are several answers here. The first is: Messages ARE promotion. What has happened is that the client assumed that (1) the firm is not including the client’s info in the messages, and (2) that messages are of absolutely, positively, no use at all. And let’s not forget the receptionist factor (also known as the assistant or producer factor): Anyone who thinks that leaving messages with these folks (and thus warming them up to the idea of having the client as a guest) is a waste of time has obviously never had to work their way through business situations in the past. And how do you think he got them on the phone?…. Messages! And that’s how we do it. Messages are especially important with the only non-visual medium: Radio. Radio people work best with sound, and they are just not going to react as well to visual press releases. Depending on how much you are paying your firm, they might try to reach each station once, or they might try twice (this would cost twice as much) or they might not try at all, as is the case with some lower cost campaigns. With these, they just send a press release. The more attempts and messages that are left, the more responses are obtained, and the more people are spoken to as a result of the messages. And thus, there are more results. — Bryan Farrish Radio Promotion is an independent radio interview promotion company. Call 310-998-8305. 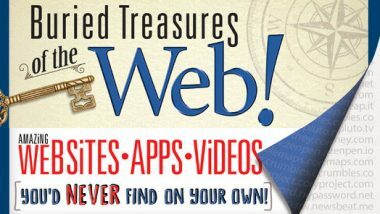 Web: http://www.radio-media.com. And, that dear reader, is why if you are doing your own publicity campaign you need to have your message written down and ready to leave when you call any media. Leave a great message when you are calling media. And that’s also a great reason why email and faxes still work well. They are different ways of sending and/or leaving messages. When doing publicity, you have to call again and again and again. Persistence pays.